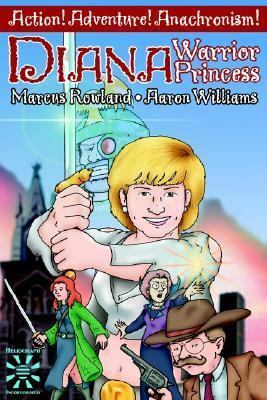 Diana: Warrior Princess is a modern-day role playing game with a difference. Imagine our world, as seen by someone as remote from us as we are from the ancient Greeks, and with as many gaps in their knowledge. Then imagine it converted into a TV series by a production company showing the loving attention to historical accuracy we have come to expect from such series. Throw realism out of the window. Run adventures in which Eva Peron is Hitler's mistress, or JFK meets Queen Victoria. Zulu hordes swarm across Vietnam, the Spanish Inquisition stalk heretics in Manhattan, steam cars co-exist with ICBMs, Babbage engines, stealth bombers and sorcerers.Rowland, Marcus L. is the author of 'Diana Warrior Princess', published 2003 under ISBN 9781930658134 and ISBN 1930658133. Loading marketplace prices 147 copies from $10.71 How does the rental process work?